The judging’s over, the results are in, and the excitement is starting to build. 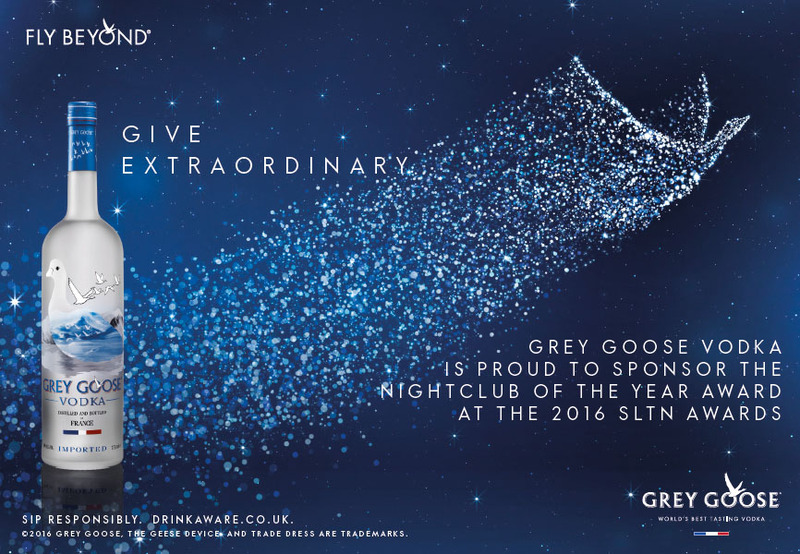 The winners of the 2016 SLTN Awards will be announced at the trade night of the year at Glasgow’s Hilton Hotel on Thursday November 3. 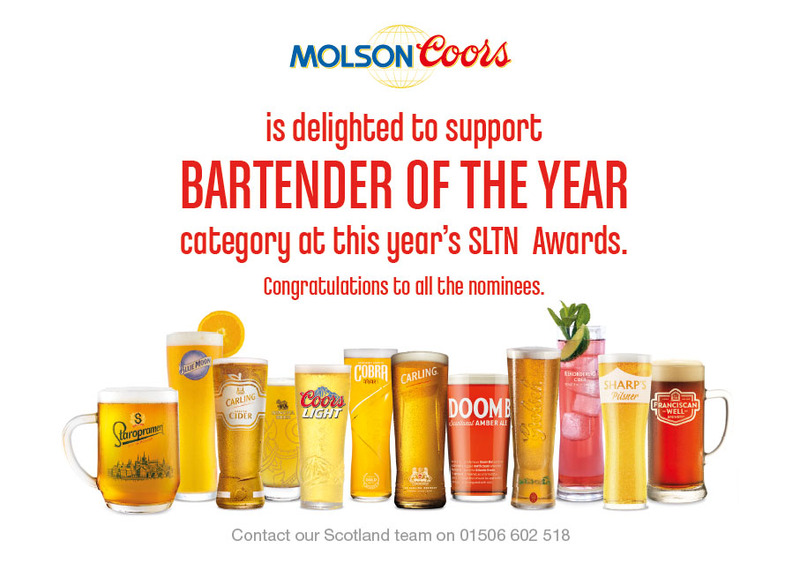 Now in its 21st year, the SLTN Awards continues to represent the benchmark for excellence in Scotland’s licensed trade. This preview highlights the people and businesses that have made the final cut this year. The results will be featured in the November 10 issue of SLTN, with full coverage appearing in the November 24 issue. With an attitude that ‘whisky is for drinking’, this inn keeps its whiskies reasonably priced, including flights for tastings. It hosts regular whisky dinners and is on the visit lists of many tour companies. The owners are very knowledgeable and the inn’s whisky range, created with customer tastes and price in mind, includes overseas whiskeys alongside rare single malts and blends from Scotland. It successfully uses social media to promote events. From the minute you walk in the door, it is obvious you are in an establishment operated by whisky enthusiasts and the staff are able to explain every bottle on the packed shelves behind the bar. There is an emphasis on quality and rarity, and promotions offer specially priced selections. The brothers who run the operation regularly travel abroad to promote whisky and the hotel, and host frequent tastings on the premises. This busy city centre pub offers whisky from every available market and the well-trained team behind the bar can talk enthusiastically about every one of them. With regular tasting events and relationships with local hotels, the Pot Still has made itself a focal point for whisky in the city. Using staff selections for regular promotions, the bar encourages whisky drinkers to expand their repertoire and non-whisky drinkers to try a dram. The head sommelier at Glasgow institution Ubiquitous Chip, Marshall is on a mission to make wine as accessible as he can for the restaurant’s diverse customer base. As well as overseeing the venue’s extensive wine list and hosting the Chip’s wine club events, staff training has become a big part of Marshall’s role, and his sommeliers are regularly encouraged to delve into the Chip’s wine selection, tasting and researching the various varietals on the extensive list. 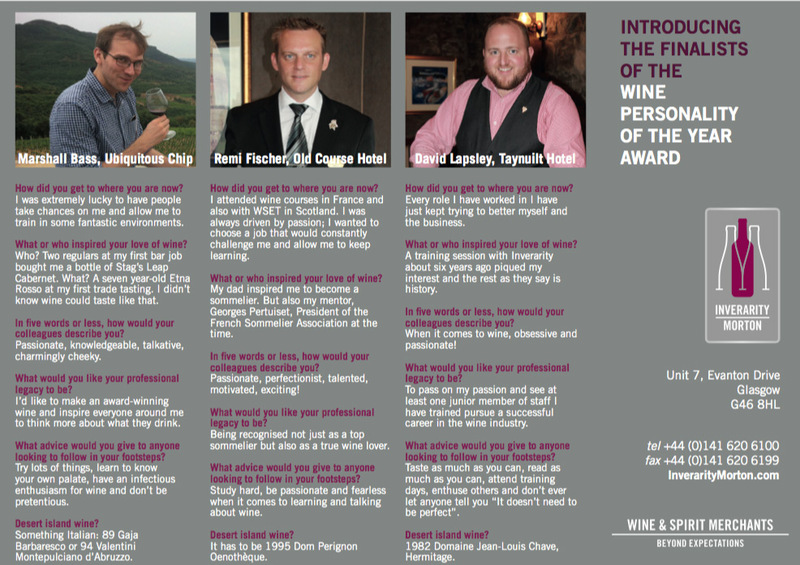 Remi has spent years studying wine, refining his knowledge and skills as a sommelier while working in his native France and then in five-star hotels in Scotland. A career that has already taken him to some of Europe’s most prestigious venues led him to the Old Course Hotel, where he has responsibility for selecting the wines on the list and dealing with suppliers as well as instilling his own passion and knowledge of wine in his team. David joined the Taynuilt as general manager in 2014, assuming responsibility for the hotel’s wine list as well as the front of house operation. Two years later, David’s passion for wine is personified by an ever-evolving wine list that’s designed to match the flavourful, seasonal dishes of the hotel’s menu. In addition to the restaurant’s wine list, David has launched a retail operation at the hotel, with a separate range of wines. Having restored and reopened the formerly derelict Airlie Arms Hotel last year, the owners were determined to serve the best quality pints they could. As well as first-rate line cleaning and glass care, regular staff training ensures that customers can be assured of a perfect pint every time they visit, whether they’re looking for draught lager or stout, craft beer or real ale. Popular with locals and tourists alike, this island pub attracts footfall – particularly during the summer – to rival that of some city centre venues. And the quality of the offer, from the food on the plates to the beer in the glasses, is paramount. Regular cleaning of the cellar, glasses and lines, as well as a team of well-trained staff, ensure that the pub’s beer is top quality. The team at Mathers Bar on Edinburgh’s bustling Broughton Street, pride themselves on the quality of the bar’s beer. Draught and cask lines are cleaned on a regular schedule, the cellar itself is spotless and a large selection of clean glasses is kept in stock to ensure every pint is presented exactly as it should be, regardless of how busy the bar is. Tucked away towards the back of The Adamson is the impressive cocktail bar, which oozes style and class. 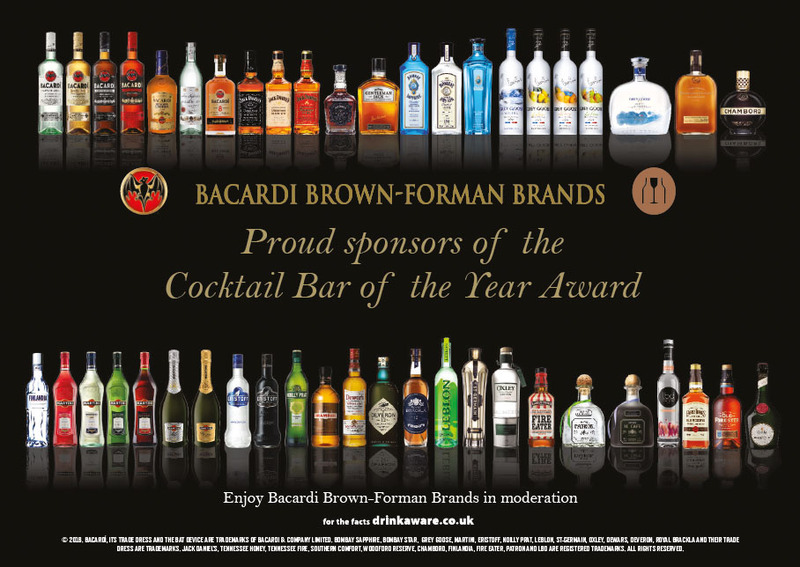 The large, mirrored back-bar plays host to the venue’s impressive drinks range, which caters for a broad clientele. There’s plenty of theatre when it comes to The Adamson’s cocktail offer, and all bar staff demonstrate a good knowledge of classic cocktails, as well as the creativity to come up with more experimental serves. A lot has changed at The Finnieston in the past year, with a new cocktail list and four award-winning mixologists joining the team. Though it’s first and foremost a gin bar, The Finnieston’s cocktail list is much broader, and spans classics to originals and everything in between. Judges were particularly impressed with the venue’s attention to detail, including the use of hand-cut ice and the flavour profiles for each cocktail on the list. Orchid demonstrates a real passion for experimentation, boasting an in-house ‘lab’ for the creation of new flavours and fusions. The bar staff look to build rapport with customers and ensure cocktails are tailored to their palate. The recently-refurbished venue hits the mark in terms of atmosphere, and Orchid regularly plays host to a range of cocktail competitions and tasting events. A welcoming and knowledgeable bartender, Pedro strives to ensure that every customer in his bar enjoys their visit whether they are in for a relaxing beer or a few cocktails with friends. Taking real pride in his job, Pedro aims to deliver the perfect drink every time. With the customer in mind he regularly recommends new products to expand the venue’s range and drinking experience. Callum is an enthusiastic bartender with an eye on beer and drinks developments across the globe. Up to date on all the latest trends, including beer cocktails and food pairing, Callum is very knowledgeable and always ready to make recommendations to customers. He takes a real pride in the range on offer behind the bar. Working in a true community pub, Linda goes out of her way to ensure all customers receive a warm welcome. Always ready with a smile, Linda knows her regulars well – from their favourite drinks down to which seats they like to occupy around the bar. Her interaction with the customers stretches beyond her job and helps make the Bridge Inn an important part of the community. Taking on the role of general manager at Orchid in the last year, Nick has flourished as a mixologist at the Aberdeen venue. 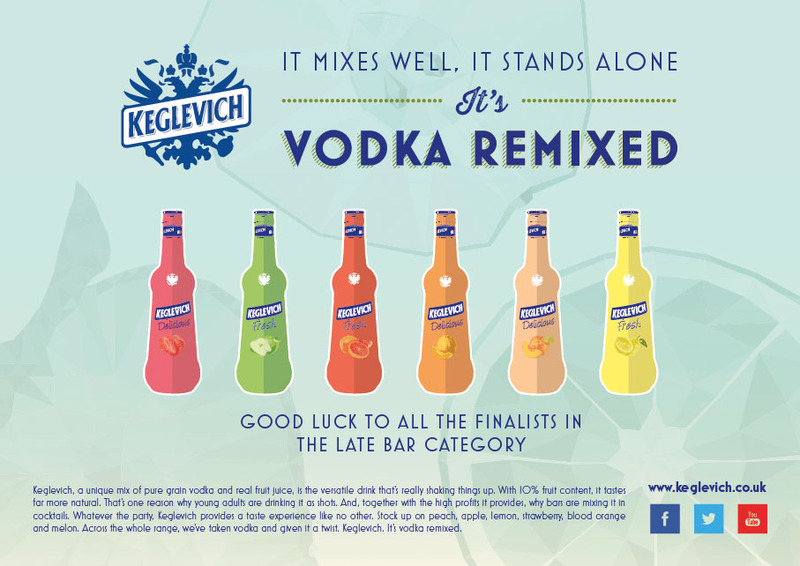 Judges were impressed not only by the big flavours found in Nick’s drinks but also his willingness to educate customers who could be considered cocktail novices, as well as his own continuing drive to boost his knowledge and improve as a bartender. With a background in Tiki drinks, Jamie made a major shift in category terms when he moved to Glasgow gin specialist The Finnieston. But it’s a shift the mixologist has taken in his stride, excelling at producing and contributing to the venue’s cocktail list. Judges were impressed with Jamie’s ability to both share knowledge and learn from his colleagues behind the bar. Running regular staff training sessions for The Tippling House and sister venues Rye & Soda and Bos’n, Andy isn’t shy about sharing the cocktail expertise he’s acquired since returning to the trade after a stint working in the financial sector. Judges were impressed by his ability to engage all-comers – from cocktail novices to local bartenders – in discussion over a drinks menu that balances the accessible with the experimental. The range on offer at this bar demonstrates a thorough knowledge of the craft beer sector, with easily accessible beers sitting alongside some of the more niche brews. 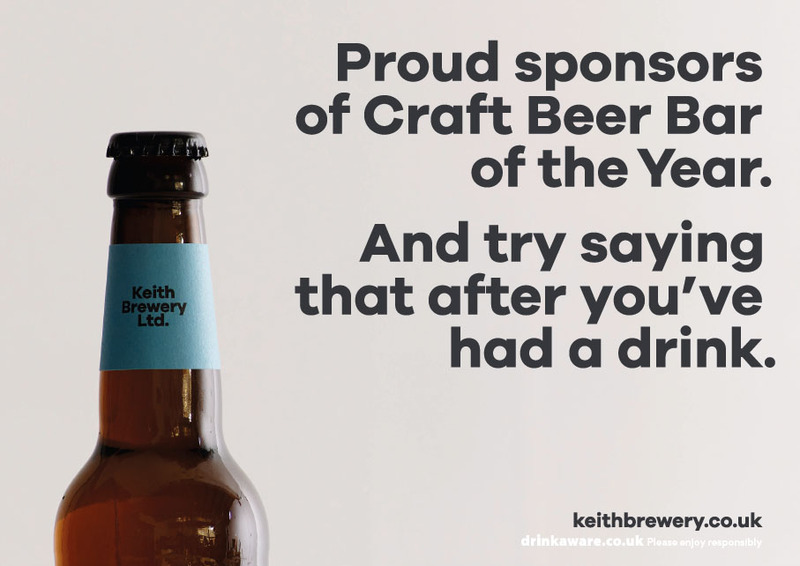 Through regular briefings with the enthusiastic beer buyer, each member of the team has up to date knowledge of the range and is able to help customers choose a bottled or draught beer to suit their taste. The bar layout and visible microbrewery leaves the customer in no doubt that this is a craft beer bar. The constantly evolving range offers something to suit all tastes and, with a bit of conversation, the knowledgeable staff are able to make informed recommendations. There is a programme of regular beer events, including tastings with the in-house brewer. Staff at this bar show incredible knowledge of the craft beer category and their enthusiasm is reflected in the wide and varied range of bottled and draught beers. 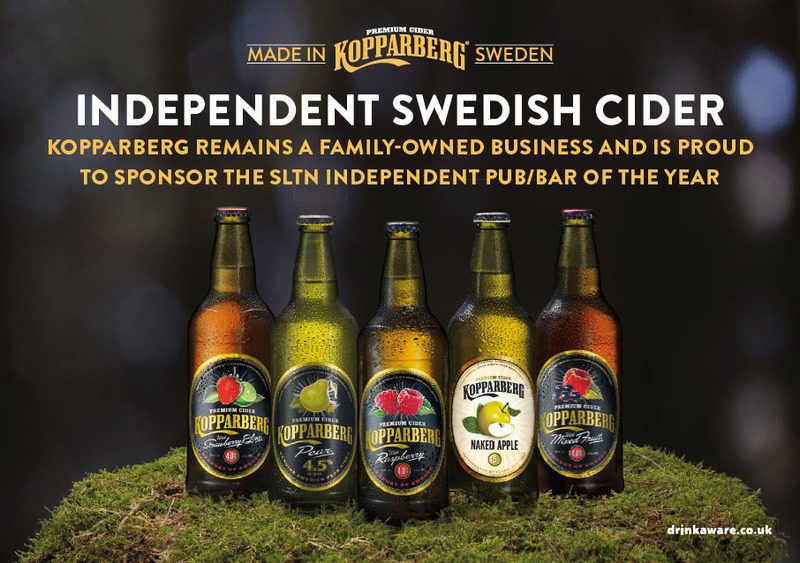 Regular staff updates ensure that every member of the team is able to help customers choose a beer they will enjoy and clever buying, including at festivals abroad, ensures the range is always evolving and interesting. Milo is relishing being back in the on-trade after a spell working as a teacher. He has built an impressive range of craft spirits on the back-bar; but it is what he is doing behind closed doors that is most interesting. Developing his own craft spirits and craft soft drinks has become a hobby – with great success, and he has thrown himself into working on an exciting craft-focused project. Andy demonstrates a vast knowledge and genuine love of craft spirits, which is evident on the venue’s back-bar and in the way he creates and serves drinks. 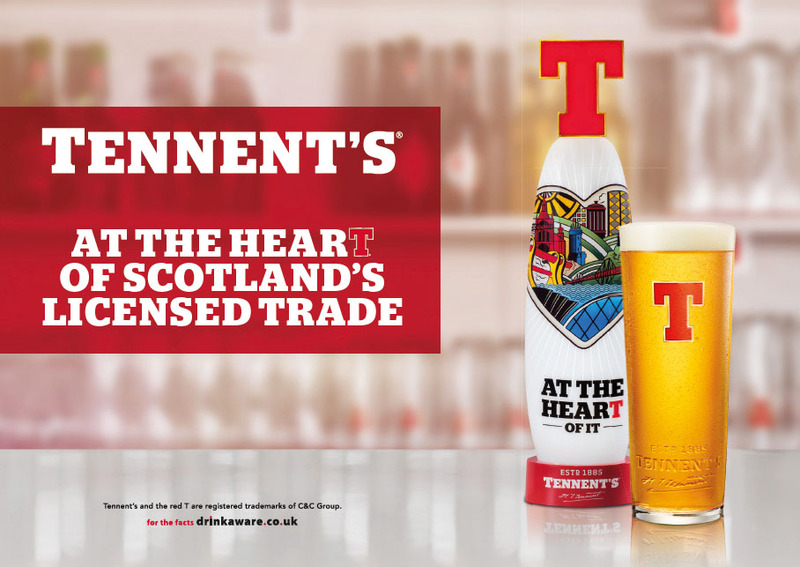 Andy is actively working with Scottish craft brands, helping them to make their mark in the on-trade. And with his own projects in the pipeline, Andy lives and breathes craft spirits. James’ bonhomie really shines through this Edinburgh bar, which boasts an extensive back-bar and an equally impressive drinks list. Operating an open door policy for producers, James already works with a number of craft spirits brands and is keen to expand this. His passion for the trade and craft spirits is inspiring. The team at the Atholl Arms Hotel took full advantage of its picturesque location next to the River Tay when it came to creating a new garden terrace earlier this year. The result is an outdoor area with fully-functioning bar in which customers can enjoy fantastic views of the river and the historic five-arched bridge over the Tay. The terrace has broad appeal, attracting families, cyclists and even passing canoeists. The outdoor area at Ye Olde Inn is like a secret garden, where plants and flowers have been cleverly used to really bring the space to life. The area is family and dog-friendly, and is popular with both locals and visitors. The inn hosts a variety of events, including ‘ukulele’ and knitting classes, which make use of the outdoor area when the weather allows. Although this stalwart of the Glasgow scene has been wooing customers with impeccably-presented plates for 15 years, it never rests on its laurels. In the past year, the dining room has been elegantly refurbished and the restaurant’s keenly-priced gin lunches have been a huge hit, tempting a new wave of diners. There’s a lot to crow about at this small-but-perfectly-formed restaurant, particularly its team’s unfaltering commitment to serving fine dining fare in a relaxed, atmospheric setting. Chef Tim Dover creates stunning dishes with a distinct Perthshire flavour while wife Anna oversees front of house. 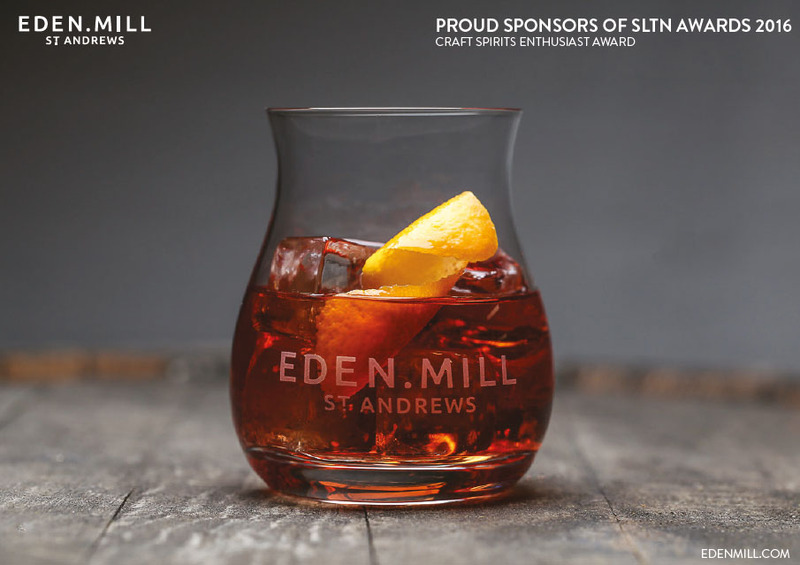 St Andrews is a competitive market for eating out, but The Adamson’s emphasis on creating a memorable dining experience and the addition of a new cocktail bar have helped it remain at the forefront. Head chef Stewart Macaulay oversees an attractively priced, brasserie-style menu that changes seasonally. This 36-cover restaurant has made its mark on the capital’s crowded dining scene since opening in April 2015 thanks to positive word-of-mouth recommendations and glowing reviews. Its core aim is to serve innovative dishes that are good value for money in a relaxed environment. It was a brave move to transform this former council building into a boutique hotel. With no expense spared, the result is opulent public spaces and individually-designed bedrooms that complement the drama of the B-listed Tudor Gothic property – combining the historic backdrop with all mod cons. The hotel’s function suite has already played host to a number of weddings, while Annabel’s – the plush, tranquil bar and restaurant – serves Scottish produce, cocktails and afternoon tea. An extensive marketing strategy, a rebrand and immersive research into diversifying the business, the hard work by the committed team at No.10 has paid off. An intense three-month overhaul has turned this city centre basement bar around, and the original pub now coexists with a new adjoining space – a buzzing 90-seater restaurant with private dining room. The opened-up venue packs a punch, wooing a new following while retaining its former, loyal customer base. Independently funded by two local brothers, backed up by Glasgow City Council and Heritage Trust Scotland, Saint Luke’s opened its doors as a multi-purpose music and arts venue, that includes a bar and restaurant. In an area currently undergoing much regeneration, the venue – a former B-listed church in the east end of Glasgow – is fast becoming the place to be, building a loyal customer base and attracting a host of music, arts and community events. 56 North is constantly developing and changing as it aims to promote gin while offering customers an experience they won’t get anywhere else. With an independent spirit, bursting with crazy ideas, owner James displays incredible passion and wants to bring excitement to his customers with new concepts and creations. Fun, funky and very inventive. An established name with a strong brand, Bloc+ continues to reinvest and evolve without losing sight of its core concept. The business deserves huge credit for its latest refurbishment, which has improved the interior and facilities without robbing the unit of any of its character. Accessible and welcoming, Howlin’ Wolf has a character all of its own but can cater to a remarkably diverse crowd. Dedicated to blues, and evolved from a genuine passion for the music, the bar has positioned itself as something very different for Glasgow, with attention to drinks and food in a relaxed atmosphere designed to appeal to all-comers. This nightclub takes customer safety very seriously, with a team of well-trained security staff and cameras positioned throughout the premises. With a young clientele it is particularly vigilant and there’s a strict ID policy on the door. Employing a responsible attitude towards promotions, the venue prefers to use selective free admission rather than cheap drinks to attract the local student population. Safety for its young clientele is at the heart of this granite city nightclub. In addition to well-trained staff and a strict door policy, the club’s initiatives include handing out free hoodies or ponchos to clubbers who are inappropriately dressed for the weather when leaving. 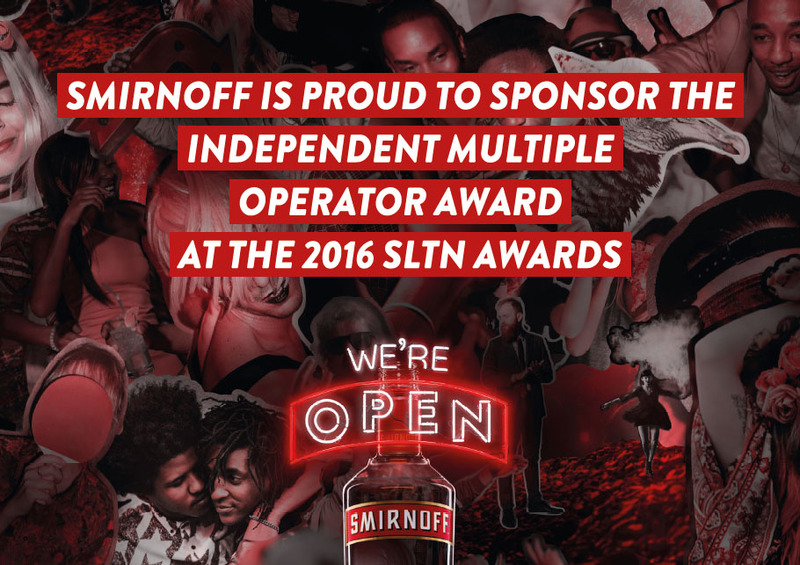 It also has a free bus service to take customers home, as well as a responsible approach to drinks promotions in the venue. Customer comfort and safety are top priority at this large Falkirk venue, which comprises a number of distinct public areas. The management is well informed on all relevant licensing laws and statutory requirements and this is evident in a responsible attitude towards pricing and promotions. The team also has good relationships with a number of licensed trade initiatives. This city centre hideaway boasts an impressively sourced food and drinks list. With a penchant for new and rare produce, Alston’s combination of gin and beef has been a winner since opening. Continually updating the back-bar and drinks menu means Alston maintains its reputation as one of the coolest venues in town, against increasing competition. 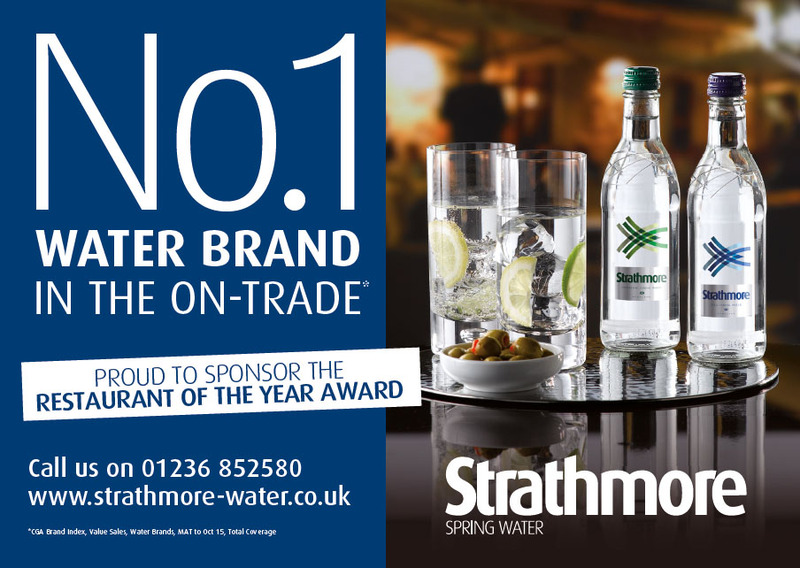 Customers keen to learn can be educated in the different gins on offer by knowledgeable and enthused staff. 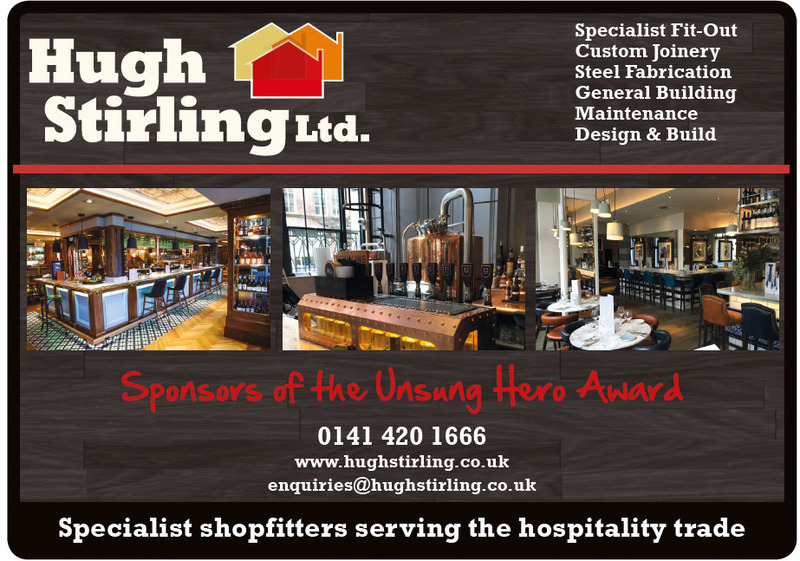 This brand new venture in Edinburgh, designed from scratch, is extremely well conceived and considered. A stunning venue with a strong concept from origin, Badger & Co is the ideal example of how to make a theme come to life and be ever present across all facets of a venue. The menu, drinks list, surroundings and ethos of this venue all combine to create a Wind in the Willows-esque delight. Since opening in the centre of Glasgow, Gin71 has been a key player in the growth of the city’s gin scene. The bar’s concept has grown with it over the years: a tea lounge by day, the venue transforms in the evening to a gin-focused venue. Gin71 has 71 gins, with menus pairing these gins to a vast selection of tonics and sodas as well as garnishes to create the perfect gin experience. The venue’s concept is one of evolution, courage and innovation. Bread and Butter prides itself on its friendly, personal approach to service. Aiming to provide something for everyone, it boasts an inviting interior, table service, an excellent outdoor space as well as a raft of promotional nights to keep things interesting. And the bar isn’t held back by its location in a Buchanan Street lane. Through social media, the team ensures its somewhat hidden location doesn’t stop the venue from attracting a large, varied crowd. Within two years, The Howlin’ Wolf has managed to cement its place within Glasgow’s late night bar scene. The focus on and passion for blues music is evident throughout, yet it not only caters to the discerning blues lover, with live acts every night; its friendly and knowledgeable staff welcome a broad range of customers, who are well catered for with a great range of drinks and food which is available until 2am every night. Orchid is changing with the times – a recent redesign replaced the bar’s pink and black colour scheme with touches of copper and an overall darker palette. 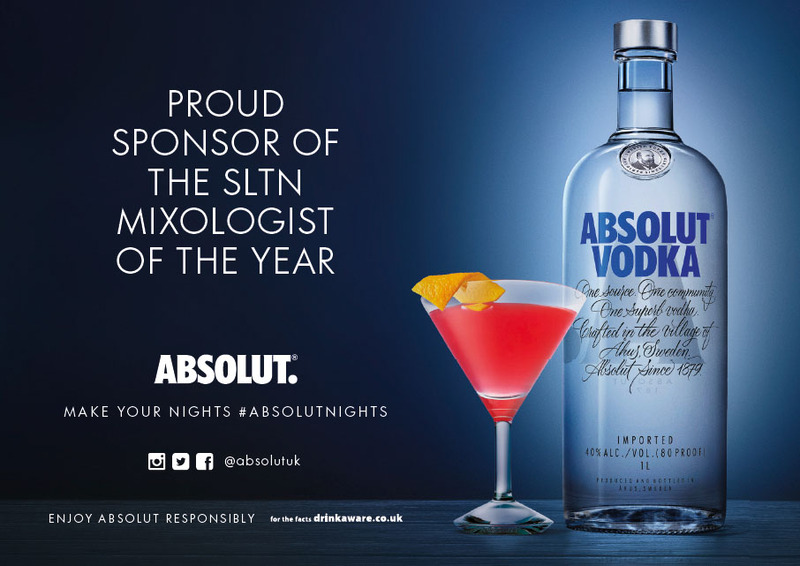 In what is currently a tough market for the trade in Aberdeen, this late night cocktail bar continues to appeal to a broad range of customers thanks to a varied drinks list, welcoming atmosphere and staff that are knowledgeable as well as friendly. The Commercial’s impressive multi-box, multi-screen and projector system delivers sport throughout the venue, including its attractive outdoor area. Excellent communication programmes feature engaging in-house and social media materials. 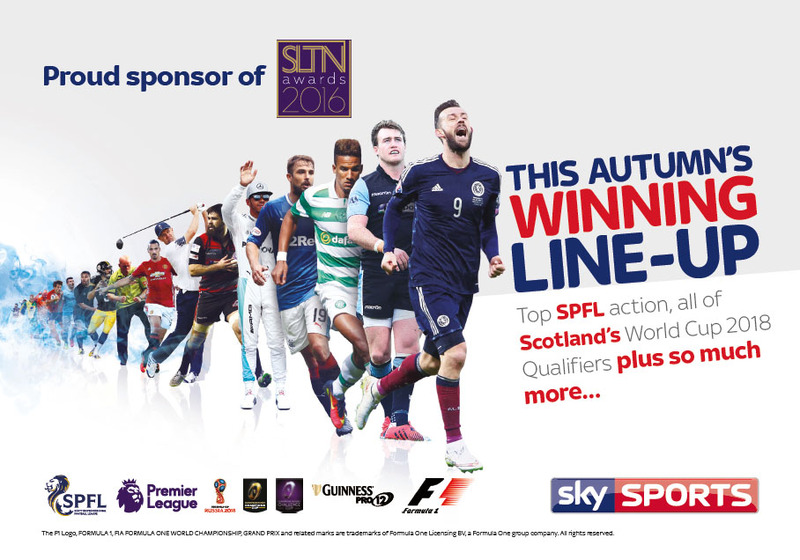 The Commercial seriously pushes the boat out for Scotland matches and other major events, utilises pay-per-view events very well, and has great links with local sports clubs and sporting personalities. Committee Room 9 was recently transformed into one of the city centre’s most committed sports bar venues. Large projector screens in the double-height interior provide spectacular viewing. And screens throughout the venue mean it can accommodate several parties and events simultaneously. Social media use is excellent, the décor is fascinatingly sports-themed, and the menu is designed to be sports-watching friendly. A major town centre venue, Sportsters includes 61 screens and 12 projectors – ensuring sport is expertly presented to more than 1500 fans. Judges were especially impressed by Sportsters Falkirk’s forward planning, staff communication and involvement (including staff man or woman of the match awards), use of in-venue and social media marketing, and its local sports sponsorships and community engagement. Boasting a capacity in excess of 1200 Cav is no modest operation, but with a commitment to quality service from the door staff to the back office the team is able to pull it off. 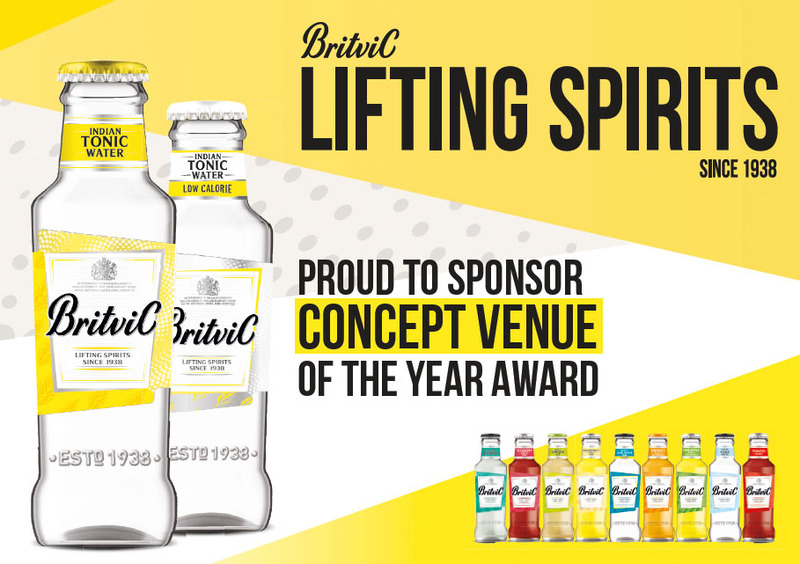 Judges were impressed by the venue’s approach to social responsibility; creating a safe environment for customers throughout the cavernous club as well as when it’s time to head home, working in partnership with Napier Uni and Safezone. With over three decades under its belt Fubar is definitely doing something right. The club’s small entrance gives way to a huge space offering guests plenty to choose from, whether that means filling the main room dance floor on a Friday night or opting for a more chilled affair in Fubar’s lounge room. Judges were impressed by the venue’s comprehensive training regime, which ensures all staff members are able to look after guests with confidence. Nestled below George Street stalwart The Dome, Why Not has carved out its own identity in the capital through its consistent delivery of a premium nightclub experience. Judges were impressed by the attention to detail from service to sound and head turning features like the recently installed LED grid lighting above the main room dance floor and a spacious outdoor shisha garden helps Why Not stand out from the crowd. 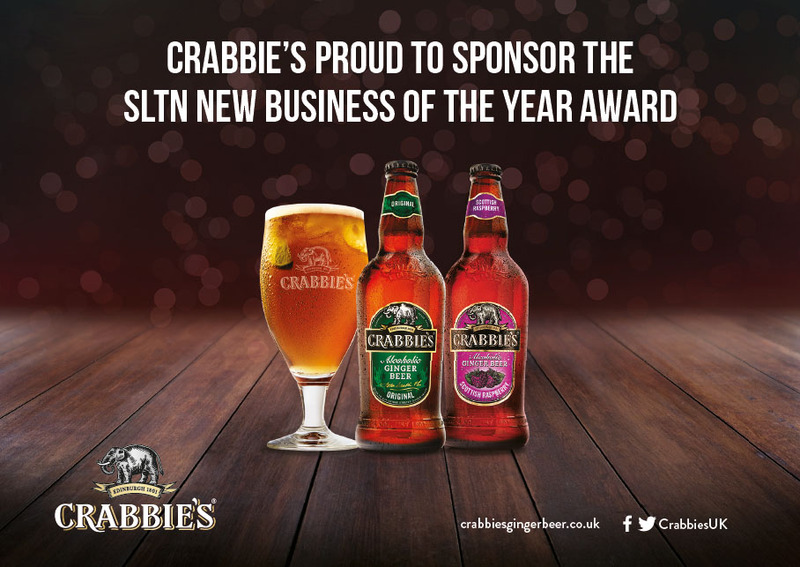 Established in 2007 with a bar called Lebowskis in the Finnieston area of Glasgow, Kained Holdings has steadily expanded to comprise eight outlets – two of which were launched this year. This dynamic group continues to innovate when it comes to venue concepts, its food and drink offer, and its approach to staff training. It has also strengthened its involvement in the local community this year, including joining forces with a local food project to provide fresh produce to a community café set up to help tackle food poverty. Since it was set up nine years ago, Manorview has developed a diverse portfolio, which includes eight boutique hotels as well as pubs and nightclubs. The group bought nine-bedroom Cornhill Castle this year and went on to launch the 12-suite Boclair House following a major refurbishment of a B-listed former council building in Bearsden. The group has also invested in its existing estate over the past 12 months and it has upped its focus on and investment in staff training. 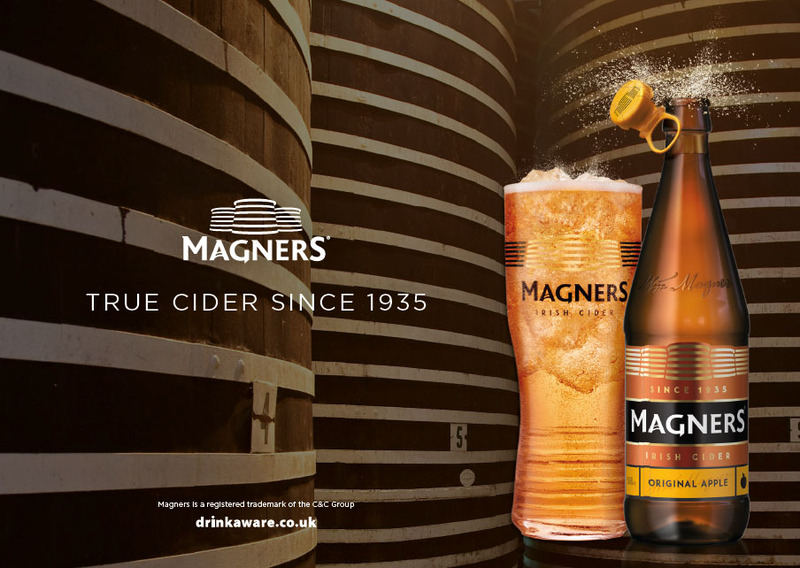 It’s been a busy 12 months for Signature Pub Group, which launched Edinburgh venue Badger & Co in April this year and, the following month, bought five former Maclay pubs, including one in Prestwick and three in Glasgow – the Edinburgh-based operator’s first move into the city. As a result, Signature’s estate has more than doubled and it has added more than 100 people to the team, taking the staff to 350. A strong focus on training and development ensures consistent high standards at each of the group’s individual outlets. With a trade career that spans almost 20 years and includes ownership of pubs, restaurants, nightclubs and hotels, Tracy is a highly experienced operator who continues to play a hands-on role in the business. The refurbishment and repositioning of the Ogilvy as a late night bar coupled with a focus on staff training, which has seen her implement new incentives and encourage staff members to obtain hospitality industry qualifications, has paid dividends.. In the eight years since he embarked on a career in the licensed trade, Iain has worked his way up from part-time bar staff to co-owner of a three-strong group of pubs. Since taking the helm of Winstons last year, he has overseen a refurbishment, broadened the pub’s appeal with new products and events, and strengthened its position in the local community. Committed to staff training, Iain also continues to develop his own knowledge. Passionate about the trade, Barbara is clearly in her element behind the bar of The Allison Arms. Since taking over as manager and licensee three years ago Barbara, who has worked in the trade for 20 years, has put her own stamp on the pub, implementing systems and procedures to enhance the business. Training is high on the agenda for Barbara and her staff, and her enthusiasm for the trade has rubbed off on the team. As a result, turnover at this wet-led pub continues to climb. Helen has truly gone ‘above and beyond’ her role as manager of Braehead Bar. Her main goal is to raise awareness of cancer following her own battle with the illness and to work with the government to initiate early cancer screening to help with early diagnosis. In the pub, she engages with customers and the local community to make sure sufferers are not alone, and has used social media and even a TV appearance to help promote the importance of supporting cancer sufferers and their families. Totally focused on her local community, Katie’s work in the area has included fundraising activity for local schools, providing help for under-privileged young people to attend extracurricular activities and work with many local charities. 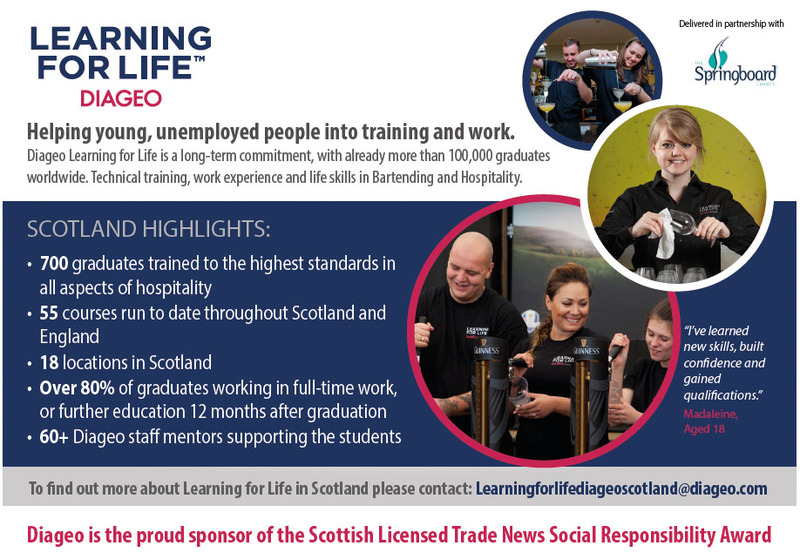 She has also assisted locals in embarking on their hospitality careers, providing support and training to help them progress in the trade. A compassionate individual with a drive to help the less fortunate. Nico has come up with a creative and rewarding way to help his local community, in the form of an apprentice scheme. Recruiting homeless or unemployed locals, Nico has taken the time to fully train them up in the kitchen and turn them into hospitality professionals, instilling his own passion for cooking in the process. Many of these recruits have since gone on to use those skills in kitchens all over the world. 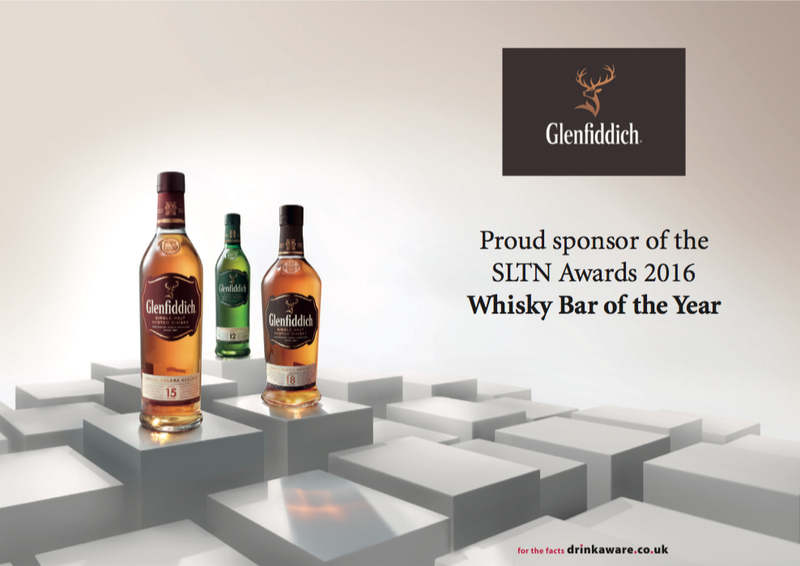 SLTN and Chivas Regal have joined forces to search for the licensed trade’s most inspiring and successful entrepreneur and are acknowledging the very special role played by Scotland’s licensed trade entrepreneurs in ensuring Scotland retains one of the most successful, inventive and innovative licensed trades in the world. We are looking for an operator and/or a project that stands out, gains prestige for the industry and moves the trade forward. Who will it be in 2016? who play their part in it – as owners and entrepreneurs, managers and educators, activists and innovators. 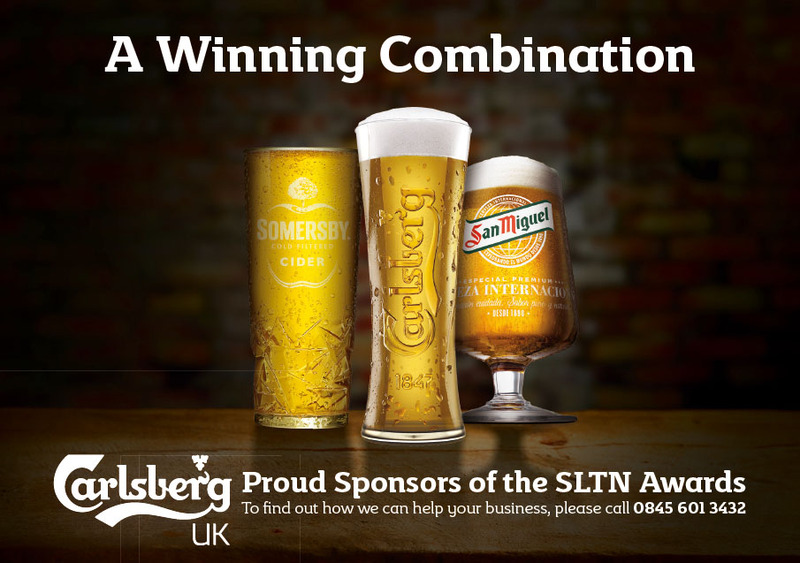 The SLTN Industry Achievement Award 2016, presented in association with Maxxium UK, will recognise an individual member of the trade who has made a very special contribution. Who will that very special member of the trade be in 2016?